Research, project planning and report writing. 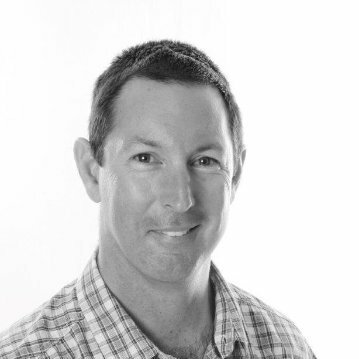 Jason has developed an invaluable network of valued and skilled individuals within the industry. He is experienced in the appointment, management and co-ordination of other consultants and advisors in related technical and legal fields including; solicitors, barristers, surveyors, architects, designers, ecologists, public notification consultants, environmental, acoustic, hydraulic and civil engineers. Chris has been a part of the Locality Planning and Consulting team since 2013 and has such gained widespread knowledge into the overall town planning system. He obtained a Bachelor of Regional & Urban Planning at University of the Sunshine Coast in 2012. Chris has experience in the entire planning process from site identification all the way through to receiving development approval from Council. The skills that Chris has gained has enabled him to prepare planning applications to Council which include, but are not limited to, boundary re-alignments, change to development approvals, residential subdivisions, commercial and industrial development and multi-unit residential development. Courtney received Honours upon completing her Bachelor of Urban Development (Urban and Regional Regional Planning) from the Queensland University of Technology in 2015. In 2016 she has joined the Locality team and subsequently been exposed to a great variety of projects, which has enabled her to acquire a deeper understanding of project management, statutory planning and the development application process. Courtney has also acquired experience in conducting site inspections, writing site analyses and preparing development applications to present to council on behalf of clientele. Our mission is to provide a single point of contact for developers who require expert, comprehensive land use advice and professional land development services when undertaking, or seeking to undertake successful land related projects within Queensland. Locality Planning & Consulting has created a vibrant culture that is characterised by openness, integrity, trust, respect and courtesy and professional conduct which is in line with striving for the best outcomes for our clients. Accessibility: We will operate in an open and transparent manner for all members of industry and will be responsive to their changing needs. Professionalism: We will continually operate following high standards and always strive to deliver our stakeholders a premium experience. Integrity: We will be passionate about pursuing our mission and objectives whilst being accountable for our actions at all times. Respect: We will be respectful when faced with a diversity of opinion, valuing our stakeholders equally and without prejudice. Excellence: We will seek to ensure that each of our operations and activities are delivered to the highest standards. As businesses strive for commercial sustainability in challenging conditions, they must at the same time respond to a new economic framework where competitive advantage is determined by the social and environmental dividends of their operations. Locality Planning & Consulting has set clear targets and expectations that focus our activities on the areas where we can make the most positive impact or where risk of negative consequences, if not adequately addressed, is greatest. Planning & Consulting has a holistic the approach to health and safety that is based on the idea of personal commitment and individual empowerment. It’s important that everyone we communicate with understands our approach to health and safety - and feels empowered to play their part. One of the key aims of this is to encourage a culture of care and mutual respect by strengthening relationships between management and the workforce. Locality Planning & Consulting aims to create a vibrant culture that is characterised by openness, integrity, trust, respect and courtesy in a professional manner striving for the best outcomes. Our increasingly sophisticated planning processes will demand much more of our workforce. To ensure we have the right capabilities, it is vital we are able to attract and retain the very best people by offering rewarding careers with real development opportunities. It is inevitable that demand for housing, hospitals, transport, power and other vital infrastructure will rise. Whilst this is good news for our industry it must be safe and sustainable. Traditional construction methods are carbon-intensive – and the built environment is the single biggest source of global CO2 emissions. Collectively, our sector consumes around one-third of the world’s natural resources, generating vast amounts of waste and pollution in the process. The challenge is enormous - and no organisation can solve it in isolation. To this end, we are working with academic and industry partners to develop smarter processes and more sustainable products, delivering energy-efficient structures. At the same time we remain focused on reducing carbon and eliminating waste. The Sunshine Coast is demonstrating a genuine recovery in the residential sector with the Apartment market arguably the last to have turned the corner. As a result, the supply of new projects into the broader Sunshine Coast area has been limited to a handful of reasonable sized projects over the past seven years. With the recovery and availability of finance now allowing larger projects to reignite the approval process, the problem now facing developers is the scarcity of high quality development sites. Those projects that are well located and well-priced are finding that the market demand is strong, particularly from the investment community.